What is Mumford & Sons' song “Holland Road” about? Mumford & Sons are critically acclaimed for their lyric writing ability. What is the song Holland Road in the album Babel about ? There's a comment from a poster (Abu Bardewa) on youtube who offers an explanation, that the song is about the people who kept cutting him down, but he kept on believing and succeeded in the end. https://www.youtube.com/watch?v=EALWGx4cnUw. Seems an OK explanation to me. 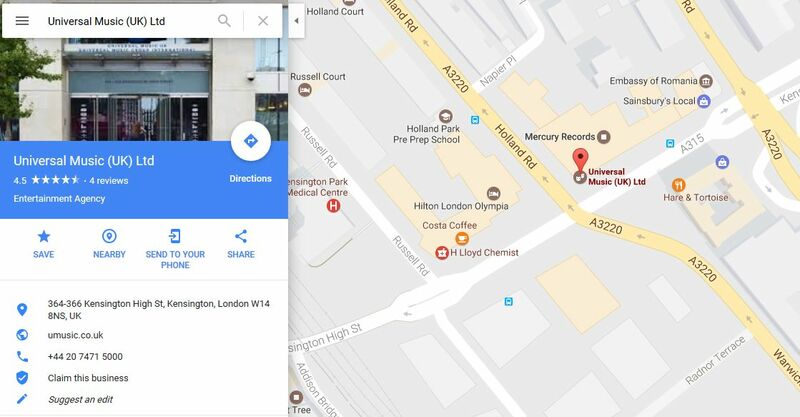 Another possible meaning of the title could be about Holland Road in London where lies Universal Music headquarters (at the corner of Kensington High Street). Corporate Headquarters of Universal Music are actually located on the corner of Holland Road and Kensington High Street. Universal Music is the UK’s leading music company and is home to major artists from Queen to Mumford & Sons —who wrote a song entitled "Holland Road"— and The Rolling Stones. Not the answer you're looking for? Browse other questions tagged lyrics meaning song-title or ask your own question. What does 'The Dark Side of the Moon' mean? Who is the person referred to in the song “What One Man Can Do”? Why are there no written lyrics for the songs from Barbudo's new album, The EP? In Svefn-g-englar by Sigur Rós, what is “Tjú”? What is “Stereotomy” by Alan Parsons Project about?